Debbie Macomber's beloved Rose Harbor series follows Jo Marie as she makes her home in Cedar Cove, running the charming Rose Harbor Inn. Now, in this original short story, available exclusively as an eBook, Macomber tells a whole new side of the story as handyman Mark Taylor grapples with his true feelings for Jo Marie. Mark Taylor came to Cedar Cove to leave his painful past behind him, and has spent the last few years keeping mostly to himself. But when he meets Jo Marie Rose, his world is turned upside down. She's hired him to do carpentry projects around the inn, but for Mark, spending time with Jo Marie is a risk--to both his long-buried secrets and his carefully guarded heart. Then one day, he breaks his leg in his workshop and must turn to Jo Marie for help. And though he tries to keep his distance, Mark can't deny how he feels drawn to Jo Marie--and how deeply he is falling for her. 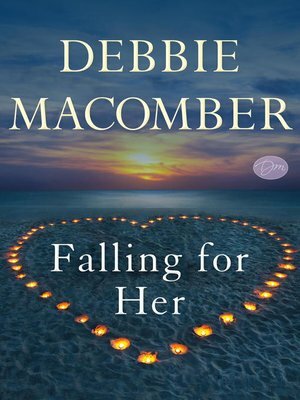 Includes an excerpt from Silver Linings, the next novel in Debbie Macomber's heartwarming Rose Harbor series.